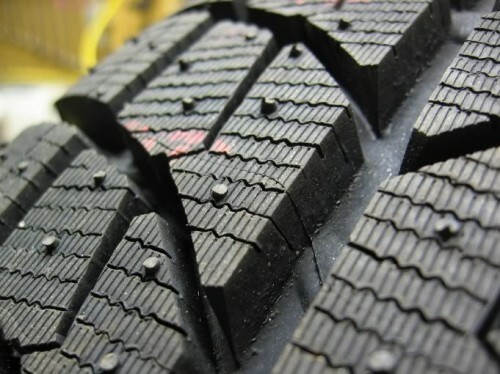 Driving on icy roads has been an issue since the conception of the rubber tire. Over the years the desire for increased speed and the many varying terrains has change the overall design of the modern vehicle. Many inventions have come to fruition to achieve these designs. Inventions like, shock absorbers that were designed to help reduce stress on the chassis of the vehicle, and the chassis of the passenger! Other inventions, like rack and pinion steering, independent posi traction (limited slip differential), and pneumatic tires helped improve the overall function of the vehicle. The first versions of tires were simply bands of metal, fitted around wooden wheels, reducing wear and tear. Then Rubber tires came into play. The first rubber tires were solid tires, which helped with the stress reduction, but not as much as the later developed pneumatic tires. Rubber pneumatic tires, manufactured with steel belts, served many purposes, and solved many problems. These tires reduced stress on the chassis, provided better handling, and of course, provided increased Traction! Traction is instrumental to the accuracy of direction and safety. Obviously without traction, your vehicle will end up going in a less than desired direction, like into a ditch or over a cliff.! When driving on snow and ice, extra traction is of course needed. Some early thoughts and practices to help with this problem, was to add little metal chucks to the tread on the tires. Then the thought went to more of a pre-molded, pre studded tire. These types of studs are considered to be the "modern day" conventional stud.